Probably the saddest thing about Counterparts is the reminder of unfulfilled promise. 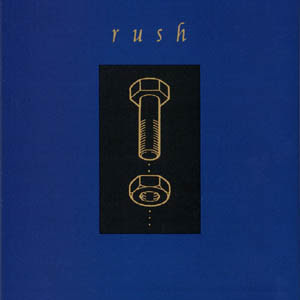 Album opener Animate is a gloriously unexpected track that serves as an example of what Rush was capable of, on the rare occasions when the band took the time and effort to inject energy, life, and interesting melodies into their music. Other than Leave That Thing Alone, the latest in a long line of engaging Rush instrumentals, Counterparts is a disaster of uninspired music. The better songs are just average; and the rest moan along at devastatingly low levels of energy, with a stunning lack of dedication and seemingly minimal effort. The band reach a new low with The Speed Of Love, a track so hideously annoying it deserves a place in music's all-time hall of shame. For an established act to contrive to place such a wretched bucket of entrails on an album is a travesty. The music on Counterparts is appropriate for dark rooms, lava lamp in the corner, the smell of incense wafting in, and droopy, tired eyes. Anyone actually seeking interesting and engaging music will find that the screw will not fit into that washer. Produced by Peter Collins and Rush. Recorded by Kevin Shirley. Mixed by Michael Letho.